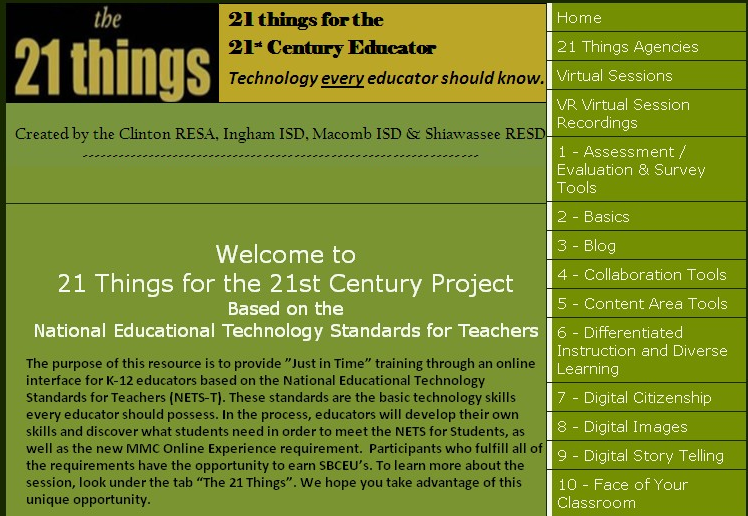 21 Things for the 21st Century Educator is a site based on the National Educational Technology Standards for Teachers. It has a huge amount of resources that help teachers learn about technologies and how to use them in their schools to improve teaching and learning. It includes information, links, resources, tips, and how-to's about collaboration tools, differentiated instruction, blogging, productivity tools and much more (21 categories!). 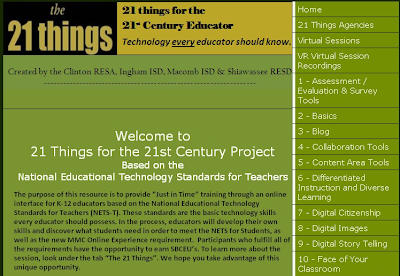 There are also some links to NETS and other Ed Tech resources for teachers. I've found some really great resources and ideas on this site and highly recommend it to all educators. The site was recently updated and contains even more great resources.